Download our latest Apple pricelist as a PDF document. iMac features a gorgeous widescreen display, powerful Intel processors, superfast graphics and more. All in an impossibly thin enclosure that�s only 5 millimetres thin at its edge. Pros love iMac. So we created one just for you. 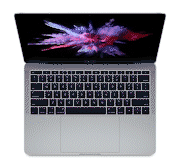 It�s packed with the most powerful graphics and processors ever in a Mac, along with the most advanced storage, memory and I/O � all behind a breathtaking Retina 5K display in a sleek, all-in-one design. For everyone from photographers to video editors to 3D animators to musicians to software developers to scientists, iMac Pro is ready to turn your biggest ideas into your greatest work. The new MacBook delivers a full-size experience in the lightest and most compact Mac notebook ever. Every element, from the new keyboard and Force Touch trackpad to the 12-inch Retina display, USB-C port, battery and logic board, has been completely re-imagined to make it not only thinner but also better. The result is more than just a new notebook. It�s the future of the notebook. Available in gold, space grey and silver. The new thinner and lighter MacBook Air features a brilliant Retina display, Touch ID, the latest-generation keyboard and a Force Touch trackpad. It�s faster and more powerful than before, yet remarkably thinner and lighter. It has the brightest, most colourful Mac notebook display ever. 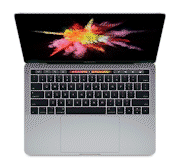 And it introduces the Touch Bar � a Multi-Touch�enabled strip of glass built into the keyboard for instant access to the tools you want, when you want them. The new MacBook Pro is built on groundbreaking ideas. And it�s ready for yours. A few centimeters tall. And nothing short of amazing, thanks to the latest 4-core and 6-core Intel processors. It also features integrated Intel UHD 630 Graphics, great built-in apps, 4x Thunderbolt3, 2x USB 3 and macOS Mojave. Dual workstation-class GPUs. State-of-the-art processor. Next-generation Flash storage. Ultrafast memory. Unprecedented expansion capabilities. In a radical new design like no computer you�ve seen before. The future of the pro desktop is here.